The real estate sector in non-metro cities is booming across India and among these cities, Lucknow is quickly emerging as a residential and commercial hub. The city is witnessing huge growth in terms of infrastructural developments and top builders are coming up with their luxurious projects across the city at the top locations. 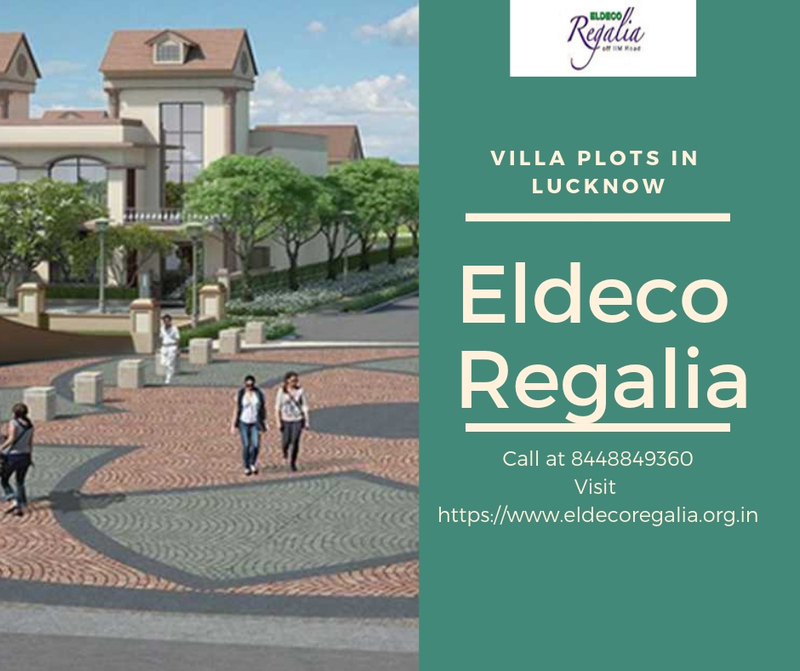 If you want to relive the charm of that British era in today’s times and want to feel the magic of those alluring curves and contours of that style of architecture, Eldeco Regalia is a name that you can reckon with. Regalia project has something magical in its beautiful architecture and infrastructure that will allure you. The builder is recreating the old-world charm of colonial style architecture with a modern twist in this complex. There are expandable villas and plots in the complex spread over luscious acres of land. The whole complex is surrounded by landscaped gardens and open green areas to make you feel living closer to nature. This is a free-hold property planned that means there will be a clear entitlement to your piece of land here. 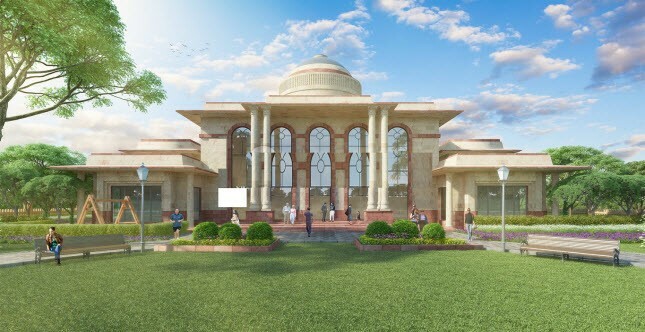 Planned at IIM Road Lucknow, the development is offering the villas and plots in an area size varying from 1211 sq. ft. to 3876 sq. ft. The project consists of pure luxury and outstanding style to mesmerize you. The richness of this development is evident from every nook and corner within the master layout. Every minute detail is planned thoughtfully to meet the expectations of the modern homebuyers. The entire area is marked with openness and greenery offering a wonderful experience after you enter the complex. 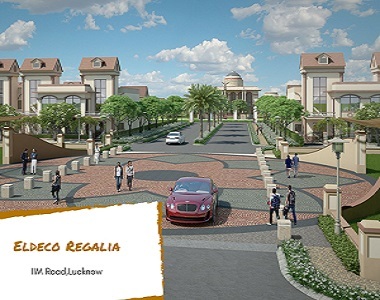 Eldeco group is redefining the term regality with their Eldeco Regalia Lucknow project designed in rich colonial style. The complex is designed for those who wish to unwind in privacy with their beloved family. With a host of classy features and state-of-the-art facilities, you will enjoy everything planned over here. There is a Club Lutyens in the complex equipped with swimming pool, banquet hall, gym and party lawn features. Apart from this, there are dedicated kids’ play areas for your little toddlers to enjoy life to the fullest and spend time with peers. The gated complex ensures to offer the best security features and CCTV surveillance to make you feel safe 24 x 7. Thoughtfully planned on IIM Road, The Regalia project comes in close vicinity to all the major landmarks in and around the city. 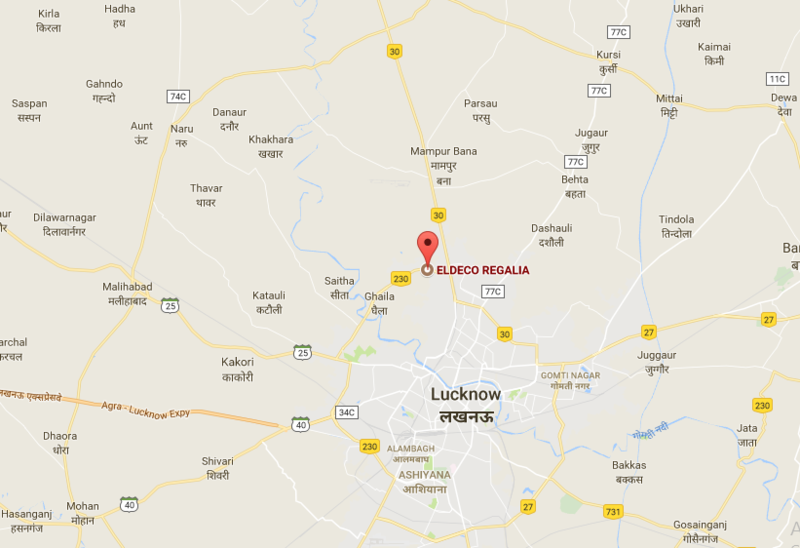 if you really wish to relieve the glory of the past in a futuristic home, Eldeco Regalia IIM Road Lucknow is the best option to make the investment. The social infrastructure surrounding the complex is well-developed and making the life of residents easier and comfortable. There is a convenience store and school is located inside the complex from where you can fulfill your basic and daily needs. This is a timeless creation by the Eldeco Group that is slated to be the most sought-after property in the coming years. Eldeco Regalia price will be well-suited for those looking for a luxurious and spacious home within budget. The price of homes varies from Rs. 32.69 lakhs to Rs. 1.04 crores as per apartment area and configurations. So, what are you waiting? Want to experience a grandeur lifestyle, invest in this property to enjoy life at fullest.